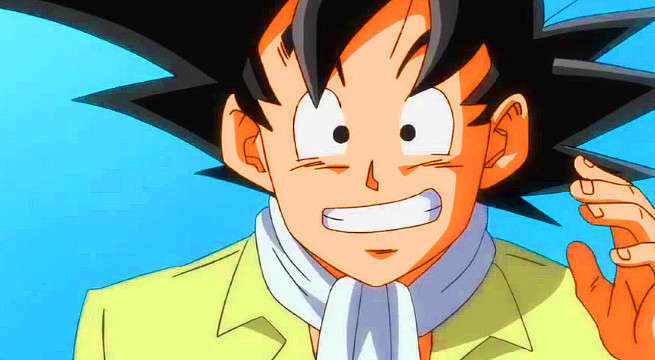 Next month, Dragon Ball Super is set to enter a brand-new phase when the anime debuts its new story arc, “Universal Survival.” The much-anticipated storyline will see Goku and a slew of his friends team up to fight in a life-or-death martial arts tournament featuring all of the show’s universes. Fans have been eagerly awaiting for the action-packed storyline since it was announced, and they’re patience is now being rewarded. Thanks to Animedia, fans have a brand-new premise synopsis for “Universal Survival,” and it is full of goodies. For this tournament, 10 warriors are selected from each universe. 10 warriors, including Goku, are representing Earth. Checking out this roster, it's Goku's son Gohan, the strongest Earthling Kuririn, their master the Turtle Hermit, and a whole bunch of Goku's former rivals. Piccolo and Tenshinhan gave Goku intense fights in his younger days, and it goes without saying that Vegeta is Goku's eternal rival. Majin Boo was likewise a fearsome foe who once had Goku on the ropes. In other words, these guys represent Goku's fighting history itself. Plus, Androids 17 and 18 are also formidable foes who once gave Vegeta a tough fight. Looking at the summary, fans have learned a few important things about the martial arts tournament. First, it seems that Goku is the man behind the event as the new description claims the Saiyan brought the idea back up to Zen-Oh. And, for all you Krilllin fans, there is reason to rejoice! The martial artist is set to make a big comeback with “Universal Survival.” Ahead of the tournament, Krillin and Goku will be training together like they did in the good-old days, so fans can prepare for that nostalgic bomb as it draws nearer. Dragon Ball Super airs on Crunchyroll Saturdays at 7:15 p.m. CST. Toonami will begin airing the English dub on Adult Swim Saturdays at 11:30 p.m ET.